I read this article and found it very interesting, thought it might be something for you. 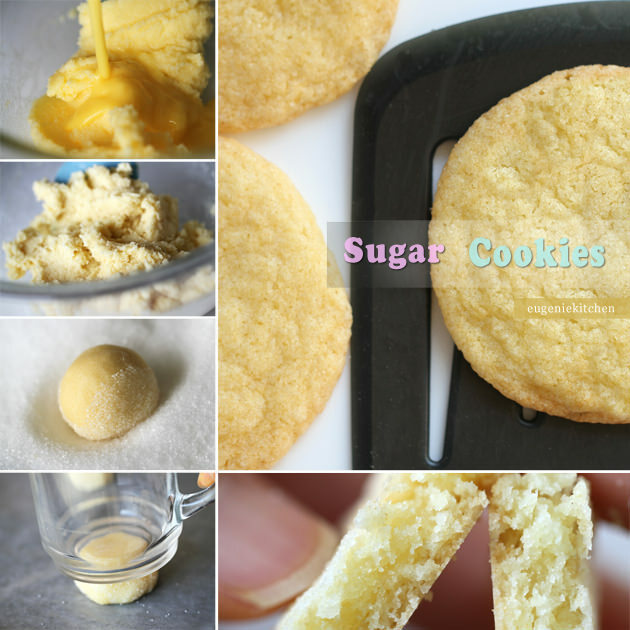 The article is called Sugar Cookies Recipe and is located at http://eugeniekitchen.com/sugar-cookies/. Hi, I made basic sugar cookies! 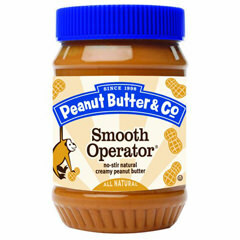 I love almond flavor so much, so I added it in cookies today. 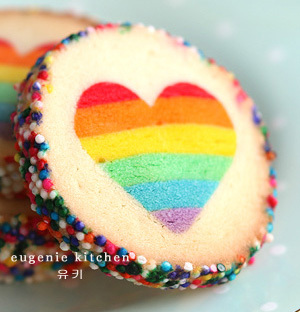 Especially my parents love them because it’s homemade version of store-cookies (사보레 in Korean). Let’s get cooking then! 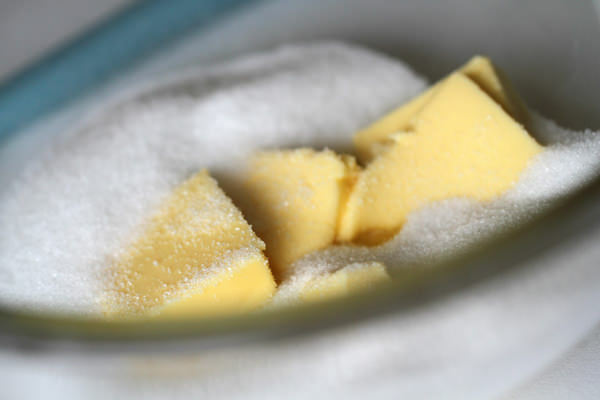 Prepare dry ingredients Sift flour, baking powder, and baking soda and whisk to combine; set aside. Emulsion Cream butter and sugar. Break an egg and add in egg mixture and salt. Stir until thoroughly combined. This is called emulsion. 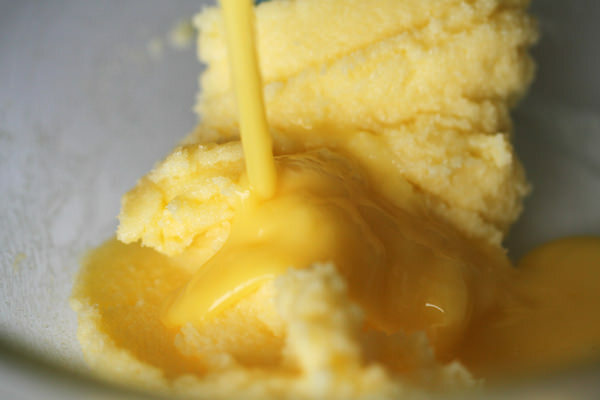 Butter should be combined well with water (egg). If not, it will leak from the cookies in the oven. And stir in vanilla extract and almond aroma (optional). Combined all ingredients Finally add in flour mixture and stir just until moistened. If overworked, gluten will be formed and cookies will not spread enough in the oven. 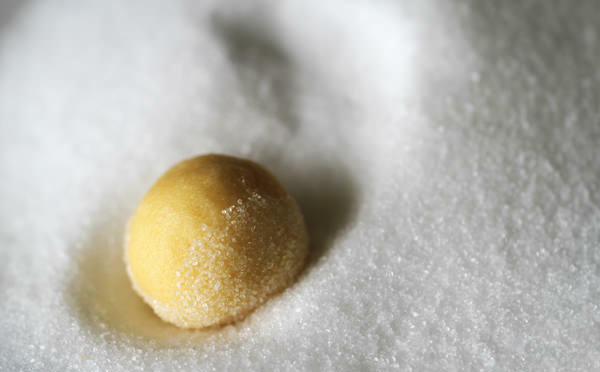 Pre-baking With a tablespoonful of batter, make a ball and roll in the sugar. And place on a cookie sheet or a pan lined with parchment paper. 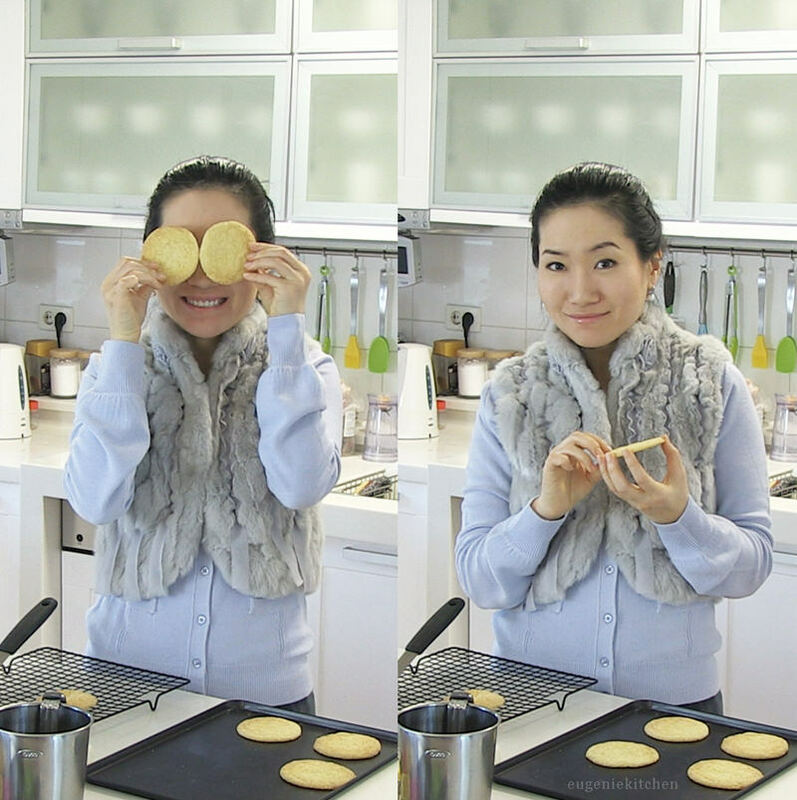 Repeat until the batter is finished. Press the cookies with a cup. Cookies spread in the oven, so make sure there is enough space between cookies. Bake Bake for 9 to 12 minutes. The duration varies depending on your cookie texture preference. Out of oven, let the cookies cool on the pan for 10 minutes, then transfer to wire rack and completely cool. 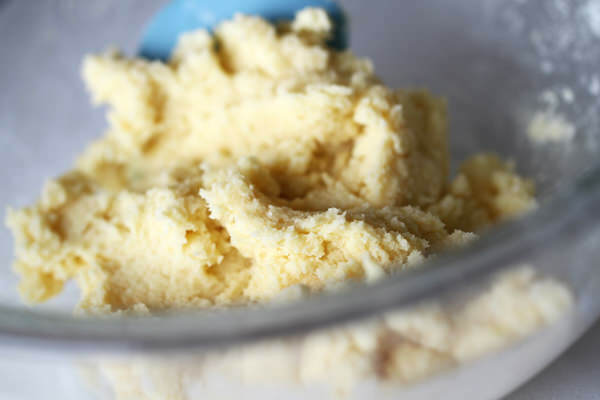 Sift flour, baking powder, and baking soda and whisk to combine; set aside. Stir in egg mixture and salt. 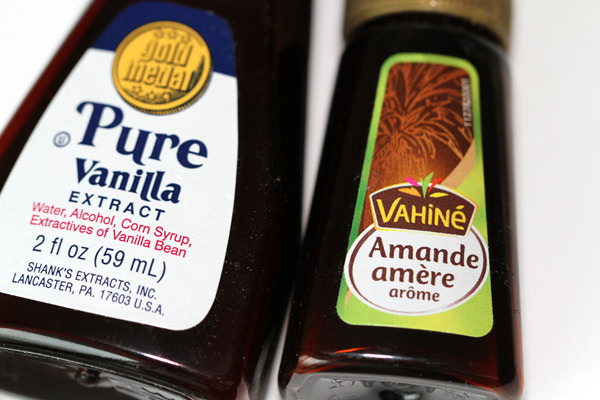 Stir in vanilla extract and almond aroma. I used Vahine Almond aroma today. 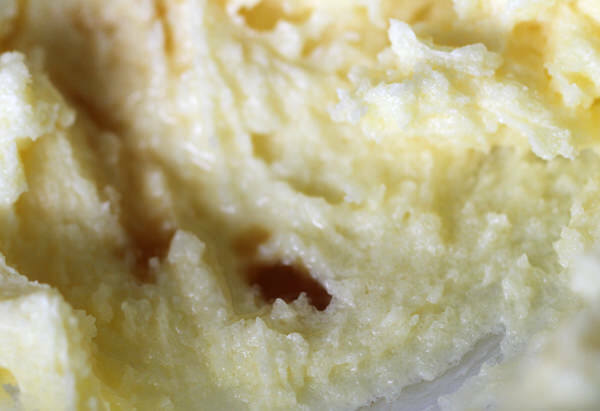 Make a ball with a tablespoonful of batter. Then roll it in sugar. Press down the cookie balls with a cup. Let cool for 10 minutes on the pan, then transfer cookies to wire rack.